ASHLAND – Jenni Rosenberg will shed the “interim” title as Southern Oregon University’s head women’s soccer coach. She and the Raiders are now official. Matt Sayre, SOU’s director of athletics, announced Monday that Rosenberg would stay on after taking over midway through the 2013 season. The Raiders bowed out in the Cascade Conference semifinals, finishing up with a record of 10-6-3, at which point a national search was conducted. Rosenberg, 32, is the third head coach in the history of the program. Before arriving at SOU, she was in her fifth season as an assistant at Cal State Stanislaus. At Stanislaus, Rosenberg’s duties included supervising academic progress, fundraising and recruiting. She was responsible for bringing in several of the players who starred on Stanislaus’ team that went 18-1-2 this season. Rosenberg graduated from Ashland High in 1999. She played on SOU’s inaugural women’s soccer team in 2000 and finished her career at Stanislaus, where she earned a bachelor’s degree in physical education. Her first game in charge of the Raiders was on Oct. 3 against Northwest Christian and resulted in a scoreless draw. 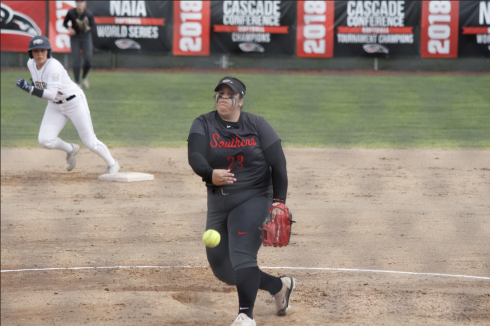 She earned her first win two days later, 5-3 over Corban, and the Raiders went 6-4-1 with a fourth-place finish in the CCC under her guidance. 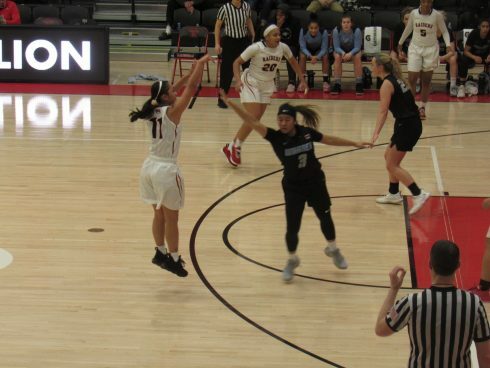 All but five players on SOU’s roster are eligible to return next season. Rosenberg’s parents, Gail and Larry, are also residents of Ashland.